Because of its unique location between the Sierra Madre Occidental Mountains and the Pacific Ocean, the city of Mazatlan is an automatic favorite among Mexican resort destinations. 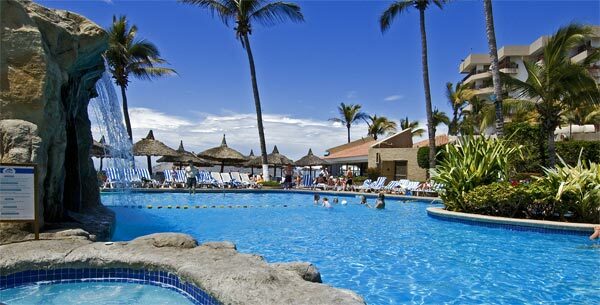 Its setting provides myriad activities for sea and land lovers alike. Each luxury guest room, suite, or penthouse at the Inn features expansive living areas leading to spectacular ocean and beach views from spacious terraces. Beautifully furnished in a traditional tropical décor, all guest rooms include cable television, refrigerators and coffee/tea makers, clock radios and air conditioning, and more. 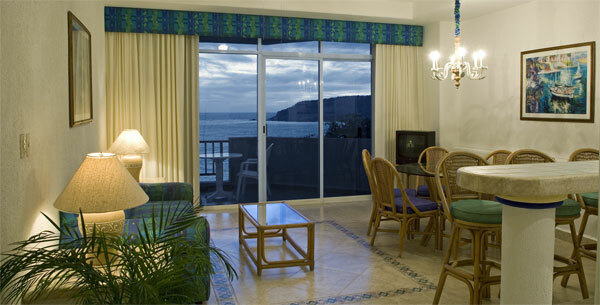 In fact, the entire resort was designed to provide the ultimate in comfort and convenience. With your comfort and convenience in mind, the Inn at Mazatlan offers on-site restaurants, pools, hot tubs, gardens, fitness facilities, gift shops, and amazing views from every angle and all conspire to make your experience at the Inn unforgettable. The newest addition is a full-service spa, where you can indulge yourself with a full-body treatment, a soothing massage, or a revitalizing facial. Golfers enjoy courses designed by Lee Trevino and Robert Trent Jones, Jr. Beer aficionados  delight at the opportunity to sample brews at one of the largest breweries in Mexico, Pacifico, a favorite of beer drinkers that is rarely seen north of the border. Adventure seekers can parasail, snorkel, ride horses or wave-runners, hike, fish for sport or deep water game along with Pacific coast at their leisure. 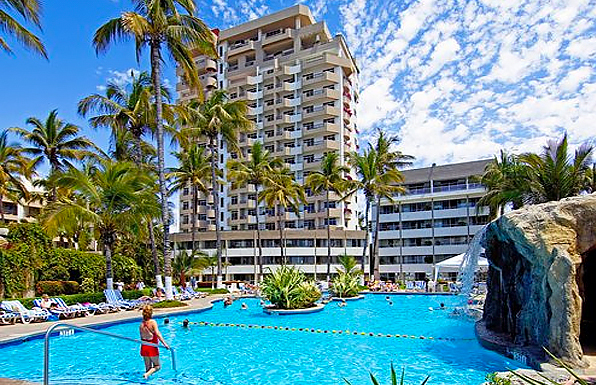 Meanwhile, doing nothing more than soak up sun and a cool beverage on the golden-sands of the Mexican Rivera beach or poolside at the Inn at Mazatlan is always an option.